In memory of Unica Zurn. KagedKitty: Where Do I Find This Precious Work of Art? 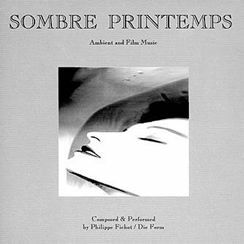 I just listened to the clips on Sombre Printemps and immediately dialed my local record store. They carry Die Form but do not have listings for this. Where could I find it? It is without saying, another great work of art from the beautiful minds of Die Form. I must have it!